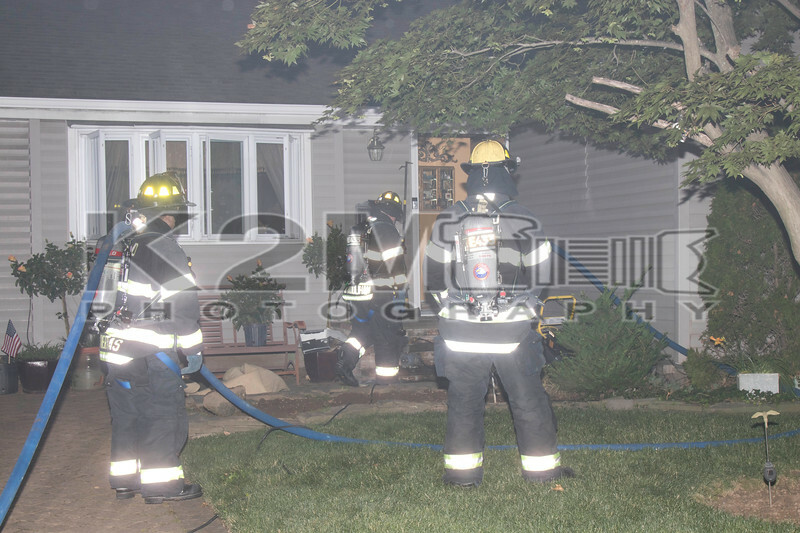 Malverne firefighters put one hand line into operation at a house fire on Woods Avenue on the morning of Sunday, July 1st, 2018. The run was originally received as an automatic alarm; however, a call back from the alarm company was reporting a fire at the residence. The first fire department units to arrive on scene were met with smoke showing and after further investigation a small fire was located in a bedroom on the one, four corner of the home. One engine from Franklin Square and Munson and one ladder from Lynbrook were called to the scene to assist. Firefighters made a quick knockdown and kept the fire from extending further. The homeowner was evaluated on scene but went on to refuse medical attention. No working fire was transmitted, and the cause of the fire is under investigation. All fire department units were under the command of Malverne First Deputy Chief Bopp . Click here to see the rest of the images from K2M Photography’s gallery, Woods Avenue [7-1-18].